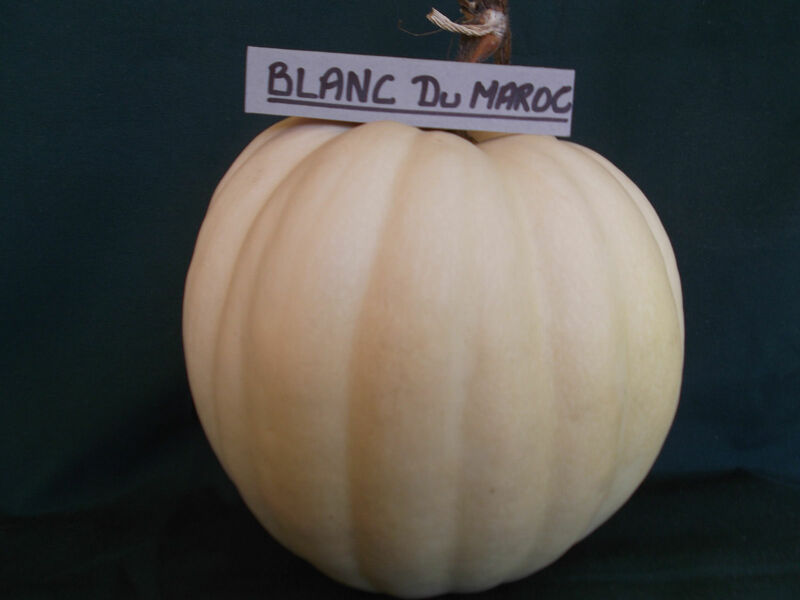 Blanc Du Maroc is a popular market pumpkin variety from Morocco. It is a large variety, with a ribbed acorn shape with smooth rind which starts out light green with lighter markings and matures into a creamy green colour. The vigorous vines, given their origin, love hot weather and will produce fruit from 5kg to 12kg in about 115 days. The very thick yellow/red flesh is soft, moist, smooth and sweet. Because this lovely flesh is very thick and very dense, the fruit are quite heavy for their size. Excellent, massive pulp. 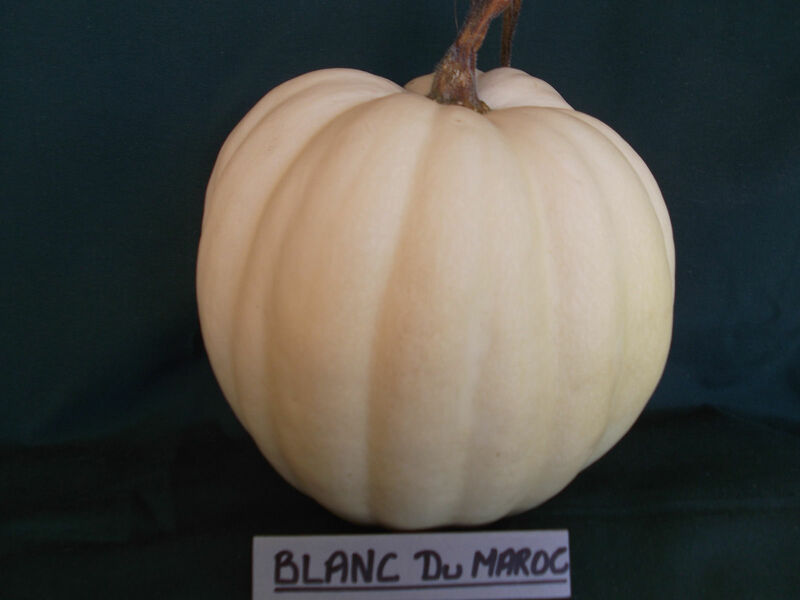 This variety from the Moroccan countryside gets a weight of up to 18 kg (40 lbs). These squashes have pointed ends. Its massive, dark pulp is popular for several dishes. 125 days.